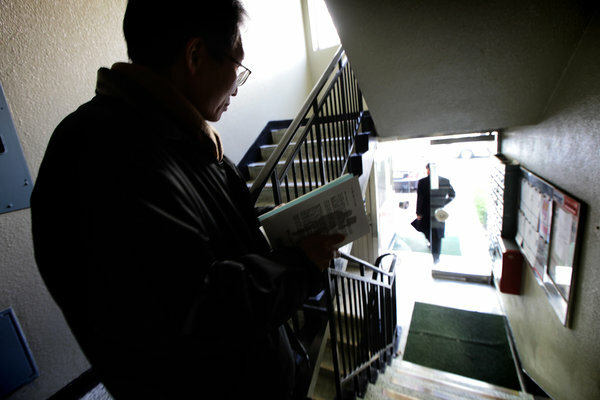 Woohae Cho for The International Herald TribuneOn March 11, 2012, Professor Kim MyungHo, left, watched Judge Park Hongwoo leave the apartment building where he aimed a crossbow at the judge five years ago. Just before this photo was taken, Judge Park came out of the building's elevator and the two made eye contact briefly. SEOUL, South Korea - The image on the cover of Kim MyungHo’s self-published book neatly captures his attitude toward the South Korean judiciary. 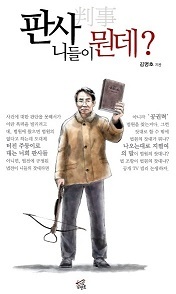 It shows Mr. Kim, a former mathematics professor, standing defiantly, a law book in one hand and a crossbow in the other. Mr. Kim’s outrage has resonated with South Koreans, with a movie about his dispute with the South Korean judicial system selling more than 3.5 million tickets since it was released in January. And Mr. Kim’s crossbow is more than a prop. He actually brandished one in a January 2007 confrontation with an appeals court judge who had rejected Mr. Kim’s claim that Sungkyunkwan University had wrongfully terminated him. At some point in the showdown, an arrow flew. Mr. Kim said no one was hit. But the judge, Park Hong-woo, said he was wounded, and Mr. Kim was sentenced to four years in prison. Editorial writers and Internet bloggers have labeled Mr. Kim a “terrorist” whose “quixotic delusion” led him to shoot Judge Park. But some South Koreans have likened Mr. Kim to Robin Hood, a testimony to the depth of the antijudiciary sentiment in South Korea. Kim MyungHo, 54, is ready to fight back. So on the evening of Jan. 15, 2007, Mr. Kim confronted Judge Park as he was about to take an elevator to his apartment in Seoul. “You call that a verdict?” Mr. Kim said, aiming his loaded crossbow at the judge. Mistrust of judges is hardly new in South Korea. 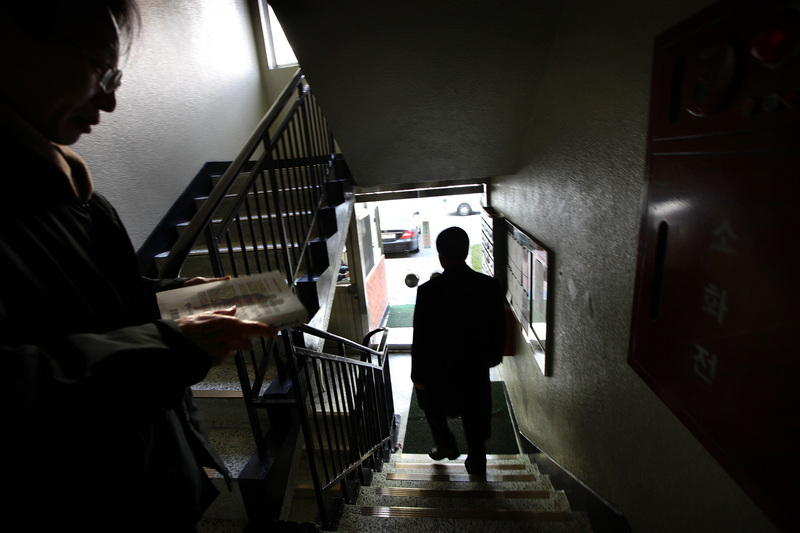 Billionaire tycoons convicted of embezzlement or tax evasion rarely spend a day in jail, and a study by Professor Kim of Dongguk University found that 82 percent of people in civil cases were not represented by lawyers, mostly because they could not afford one. Legal experts trace the growing public resentment to what they say is a highly insular and hierarchical culture in the justice system. Until this year, all judges were selected based on their scores on an annual written examination, regardless of formal education, and then prepared for the bench at a government training center. The judiciary has begun experimenting with trials by jury. It is also phasing out the old hiring system, replacing it with formal law schools and a new bar exam. 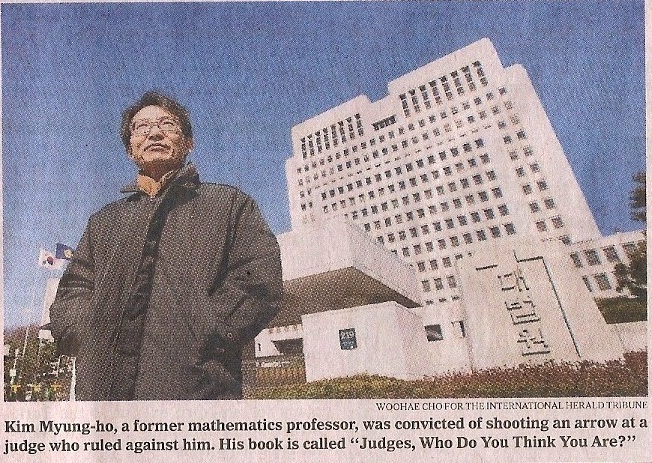 A version of this article appeared in print on March 13, 2012, on page A7 of the New York edition with the headline: Out of Jail, Ex-Professor And His Crossbow Fight South Korea’s Judiciary. 뉴욕타임스가 영화 ‘부러진 화살’의 실제 주인공 김명호 교수의 석궁 사건이 한국 사회에 일으킨 논란을 재조명했다. 뉴욕타임스는 ‘공론(여론)의 법정에서 패한 한국의 판사들’(South Korean Judges Losing in Court of Public Opinion)이라는 제하의 12일자 서울발 기사에서 최근 출간된 김명호 교수의 저서 ‘판사, 니들이 뭔데?’와 흥행작 ‘부러진 화살’을 자세히 다뤘다. 오른손에 법전을 왼손엔 석궁을 든 김명호 교수의 책 표지를 묘사하는 것으로 기사를 시작한 뉴욕타임스는 “메이저 신문을 포함한 김교수의 비판자들은 돈키호테식의 망상때문에 석궁 사건을 저지른 ‘테러리스트’라고 규정하는 반면, 다른 한편에선 사법부를 불신하는 한국인들의 뿌리깊은 정서를 증언하는 ‘로빈 후드’로 김 교수를 비유한다”고 보도했다. 이와 함께 최근 법률소비자연맹의 대국민 설문조사에 따르면, 77%의 응답자들이 “법원의 재판이 불공정하다”는 의견을 냈다는 소식도 전했다. 아울러 “김교수와 사법시스템 간의 충돌을 영화화한 ‘부러진 화살’은 지난 1월 개봉해 350만명 이상의 관객을 동원했다”며 “사법부(에 대한 불신)를 건드리거나 난타하는 일련의 영화들이 최근 박스오피스에서 좋은 성적을 거두고 있다”고 덧붙였다. 김교수는 인터뷰에서 “나를 테러리스트라고 부르는 사람들에게 프랑스 혁명이 테러였냐고 묻고 싶다”며 “2007년 내가 한 일은 정의로운 반란이었다”고 말했다. 뉴욕타임스는 영화의 개봉과 흥행으로 잊혀졌던 5년전 석궁사건이 다시금 한국사회의 이슈가 된 상황이나 영화를 둘러싼 사법부와 시민단체, 국민들의 반응을 자세히 전하며 한발 더 나가 한국 사법시스템에 대한 문제와 국민들의 불만도 진단했다. 뉴욕타임스는 한국에서 사법부에 대한 불신은 어제 오늘의 이야기가 아니라며 “횡령이나 세금 포털죄를 저지른 거물 기업인들은 대형 로펌의 변호를 받아 단 하루의 실형도 받는 경우가 거의 없는 반면, 동국대 김도현 교수의 조사에 따르면 민사소송에 처한 82%의 시민들은 재정적인 능력이 없어 법률서비스를 받지 못한다”고 전했다. * 2012.3.11일 오전 11-12 시경, 재판테러범 박홍우가 아파트에서 어디론가 외출하고 있다.